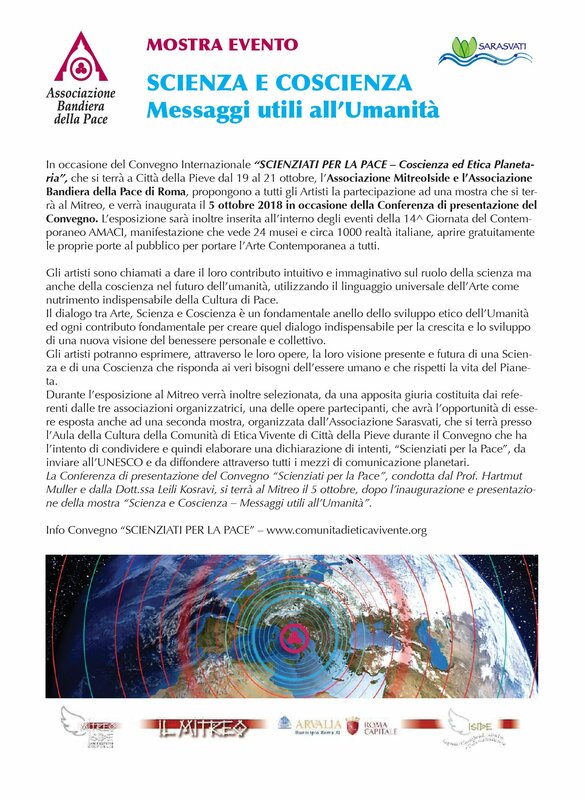 On the occasion of the International Conference ‘Scientists for Peace – Planetary Consciousness and Ethics’, which will be held in Città della Pieve from October 19th to 21st, the Association ‘MitreoIside’ and the Association ‘Bandiera della Pace’ of Rome, propose to all artists the participation in an exhibition that will be held at the Mithreum of Rome and will be inaugurated on October 5th, 2018 during a Presentation of the Conference Program. The exhibition will also be included into the 14th AMACI Contemporary Day, an event that sees 24 museums and about 1000 Italian companies which open their doors to the public for free to bring Contemporary Art to everyone. Artists are called to make their intuitive and imaginative contribution to the role of Science, but also to Consciousness in the future of Humanity, using the universal language of Art as indispensable nourishment for the Culture of Peace. The dialogue between Art, Science and Consciousness is a fundamental link in the ethical development of Humanity and every fundamental contribution to create that dialogue is indispensable for the growth and development of a new vision of personal and collective well-being. The artists shall express, through their works, their present and future vision of a Science and a Consciousness that responds to the real needs of the human being and that respects the life of the Planet. During the exhibition at the Mithreum of Rome, one of the participating works will be selected by a special jury formed by the representatives of the three organizing associations and will have the opportunity to be exposed to a second exhibition, organized by the Sarasvati Association. 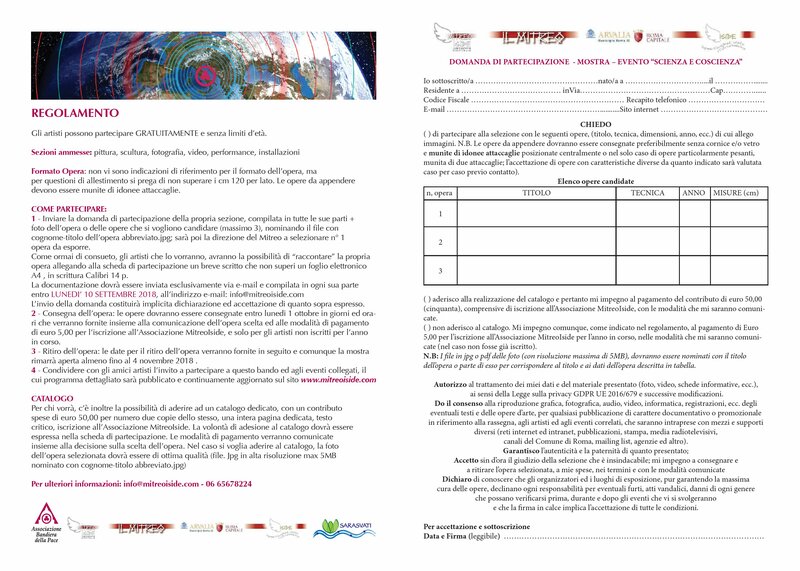 That exhibition will be held at the Culture Hall of the Living Ethics Community of Città della Pieve during the International Conference ‘Scientists for Peace’ that intends to share and then elaborate a declaration of intent, ‘Scientists for Peace’, to be sent to UNESCO and to be disseminated through all the planetary media. 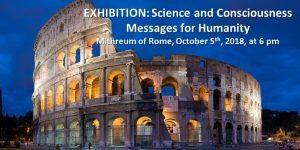 On the same day, October 5th, at 6 pm, the Program of the International Conference ‘Scientists for Peace’ will be presented at the Mithreum of Rome, after the inauguration and presentation of the exhibition ‘Science and Consciousness – Messages for Humanity’.